Enjoy alfresco dining with wicker patio furniture. Wicker Paradise carries a large selection of quality wicker dining sets and barstools, ideal for outdoor dining as well as indoor areas. These beautiful and practical dining sets include wicker tables, chairs, and umbrellas. 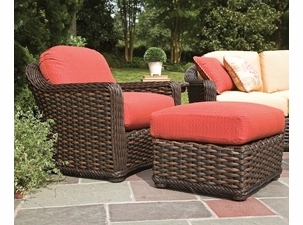 We also carry resin wicker bar sets. Browse online to find the dining set or bar set you're looking for and order online today. All weather wicker patio furniture has never looked so good. 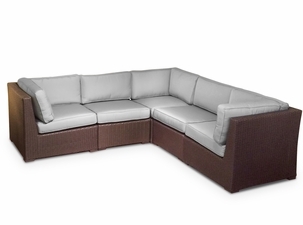 We offer designer sets and comfortable seating options with plush cushions and weather-resistant wicker. 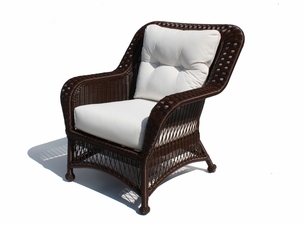 Our all-weather wicker furniture will withstand the harshest outdoor elements including heat, cold, wind and rain. With such a large selection of resin wicker furniture, it is easy to turn a plain porch or patio into a comfortable outdoor dining room for friends and family. 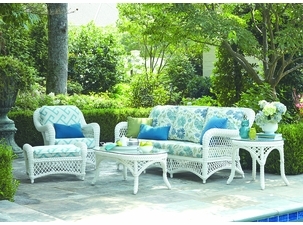 If you live in an area that sees four seasons, you’ll want the durability of resin wicker furniture. These pieces are available in all the attractive colors as our other pieces, but the resin helps to seal the material and make it more resistant to the elements. 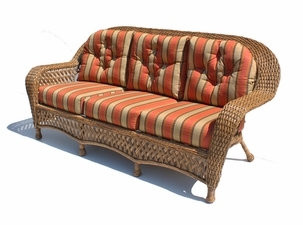 You can complete your wicker patio set with an attractive outdoor sofa, or wicker table with a glass face. I could not be more pleased with my purchase from Wicker Paradise. 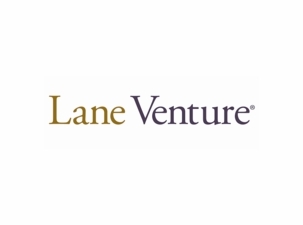 Very good customer relations, prompt delivery and so easy to purchase my wicker dining set over the internet. Mark was very patient and answered all my questions about what kind of wicker was better for my patio. I purchased my furniture sight unseen and could not be more pleased with the quality of the product. I will definitely recommend Wicker Paradise to friends.